1.Browser Compatibility: No more textcontent or innertext (and related) issues, because the quirks have all been abstracted away by jQuery. Cross-browser support brings compatibility issues to a minimum. Both versions of jQuery support current and one preceding stable releases of Firefox, Chrome, Safari, and Opera, along with IE9+. 2.Easy to learn, easy to use: While the library is large, the APIs themselves are easy and intuitive. This makes them easier to learn. Everything you could need for manipulating DOM, creating CSS effects, and executing Ajax is right there, and instead of intimidating a beginner, it is fun. 3.Community: But of course it’s a plus! Popularity practically equates to scores of developers actively coding, experimenting and improving upon the base. A lot of them are pretty damn creative, and you can use their interesting snippets, and get support if you ask nicely. 4.Extendibility: You start out with a core library and extend its functionality per your needs with plugins. The repository is huge and consistently growing, thanks to a great community. 1.No out-of-the-box features to support development: For larger and more complicated applications you will need to extend way beyond core with additional libraries and plugins. With several large libraries, you add size and dependencies, which will slow down your application and create future difficulties in debugging. 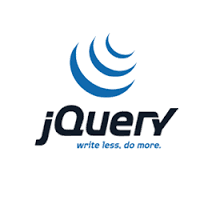 2.Not built for larger apps: At its core, jQuery is a DOM manipulation library. While a lot of other platforms include it, you’ll need more than just jQuery to develop a complex app.